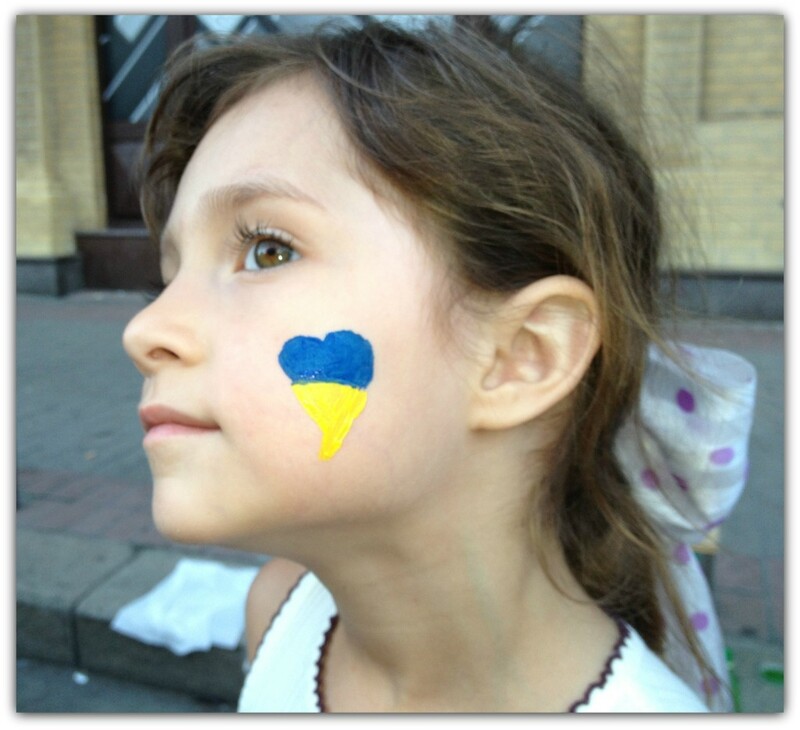 Ukraine and everything Ukrainian is in my daughters heart. One of the best ways to help your children become bilingual is to create incentives. If they associate a second language with good things, they’re much more likely to acquire it. Bilingualism has a number of unique advantages you can point out to your children. 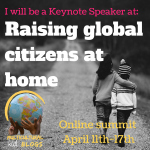 Many are practical: being able to travel with greater ease, for example, or conversing with monolingual relatives who use the child’s heritage language. But one often-overlooked incentive is emotional: a bilingual child can take pride in a culture and language that he or she has unique access to. It becomes a special identity that sets the child apart from his or her peers. You can start this one very early — as soon as you begin reading to your child! Acquire fairy tales and other stories from the child’s heritage culture. These can be in either of your child’s languages, or both. Most bookstores will have basic collections of folk tales from different cultures. In America, these are usually translated into English. If you want stories in your heritage language, you may need to turn to the internet sources or import stores. This is both good language practice and good cultural exposure. By growing up with stories that are different from the local children’s tales (especially the pop-culture Disney versions common in America), you give your child something special and unique to his/her family life. Most cultures have their own traditional folk art influences, and those influences often filter down to children’s toys as well. It may seem like a small thing, but even a doll in the traditional clothing of another culture rather than the traditional clothing of the dominant local culture can help it stand out in your child’s mind. This helps make toys seem unique and special to your child: it’s not just a doll, it’s a Russian doll (or a Mexican doll, or a Japanese doll, or any other minority culture you’re raising your child within). In addition to toy clothing, there are also some toys with traditional cultural associations: matryoshka dolls are widely recognized as Russian, for example, while the uniquely-shaped tako kites are famous Japanese toys. 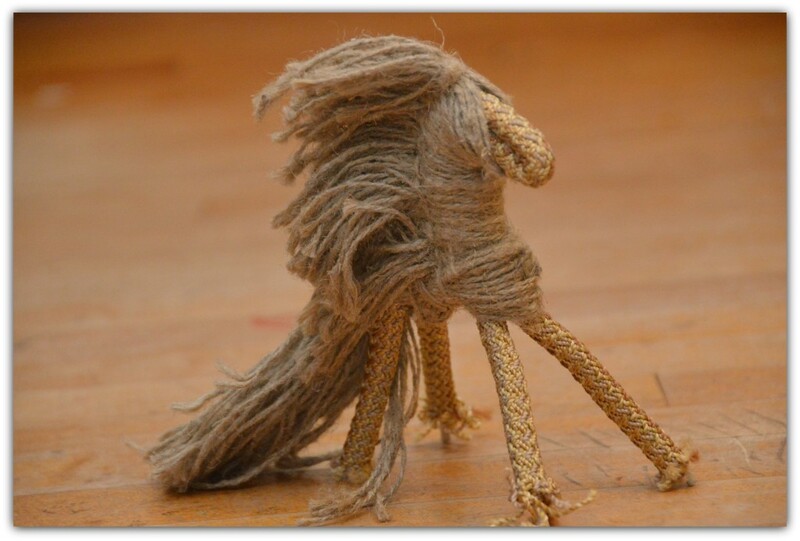 This very unique horse in Ukrainian folklore style gets a lot of play! Help make sure your child is exposed, from an early age, to entertainment from his or her heritage culture. That applies to both modern and historic entertainment. Children’s TV shows in their heritage language are fine, and a good way to build vocabulary, but they don’t have as powerful a cultural connection as traditional music, art, and theater. Try to have a mixture of stimuli on hand for your children. Some will be drawn to pictures and images — make sure they have books with art from their heritage culture to look at. Children who like listening to things can be exposed to opera, or to music by composers from their heritage culture. Sports-focused children can be taught about famous athletes from their heritage culture. Older children inevitably take an interest in famous figures. Some children will focus on historical figures like kings and queens, military leaders, and scientists or explorers. Others are more interested by contemporary celebrities. Help your child find information about famous figures from their heritage. Start with the most iconic names and go from there. If your children become interested in people who are still alive (entertainers, politicians, etc.) you can set up a Google alert that will flag any news items containing the name. Most public figures also have webpages of their own, which you can bookmark. For historical figures, visit the library and look for children’s history books that mention or even focus on the people your child is interested in. These may be culture-specific books, but many will be collections of “Famous Leaders” or “Famous Inventors” or the like. You can cultivate pride in a child’s heritage culture by looking at the history of the culture in general, as well as at specific famous people. Help your child read about the development of his or her heritage culture before it came into contact with wider global culture. You can look at specific contributions and inventions like writing, art, and technology. Most cultures have at least one or two famous developments. Others have landmarks, architecture, rare resources, or other points of pride. Help your child come to associate those with his or her heritage culture. Remember, your children are surrounded by one specific “normal” way of life — the majority culture you live in. By introducing them to an entire culture that is different from the “normal” one, you are helping to show your child how unique his or her bilingualism is. Giving them that feeling of being special is a wonderful motivation to go along with the more practical benefits of bilingualism.